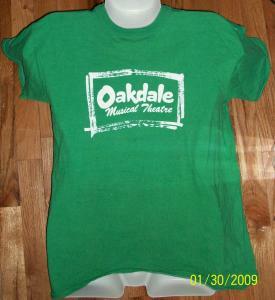 A vintage tee shirt from The Oakdale Theatre in Wallingford, Ct. It was given to me in the 1980's by the owners, and worn a few times so it's in excellent condition with no signs of wear. Size M and measures 18 3/4" armpit to armpit and 24" long. It's a kelly green color, closest to the second photo. Layaway accepted.